Best System Specific Guide: 2-Way Tie: GManatar for GURPS_4th_Edition and Lisa for OSR. Best Overall Contributor: Leif Egil R.
Thanks for everyone who's contributed to the wiki since launch, and we look forward to your contributions continuing in the future! The first-ever Roll20 contest is underway, and it's all about our brand-new Roll20 Wiki! The Wiki is intended to be a great new place for the official documentation on Roll20, as well as tips and tricks provided by the community. We want you to help us make it even better! You'll already get a warm fuzzy feeling from knowing that your work is helping other community members enjoy Roll20 even more, but to further sweeten the pot we're going to give you a free t-shirt. Just contribute to the Wiki by editing a page or creating a new page, and you're automatically in the running. No need to fill out a form or anything like that to enter. The contest will have two winners: Best System Specific Guide Contributor and Best Overall Wiki Contributor. The Roll20 Dev Team will judge all the contributions made to the Wiki during the contest and choose the most outstanding contributors to award the prizes to. 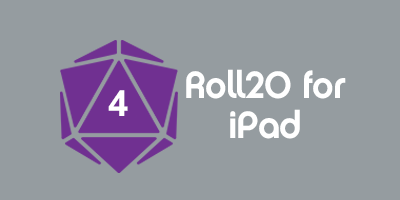 Each winner will get a free limited-edition Roll20 t-shirt (you literally can't buy these in stores). Note that we have sizes M - 2XL available. So what are you waiting for? Get started by editing an existing wiki page to improve it, or create a brand-new wiki page. If you're looking to create a System Specific Guide, you can start by editing the "red links" (pages that don't exist yet) that we've linked to on the home page. We've also got a page where you can see what help docs are currently a little out of date and might need some TLC: Category:NeedsUpdates. Let us know if you have any questions about the contest on the talk page. This page was last modified on 17 June 2014, at 02:36. This page has been accessed 4,823 times.